Basic requirements are that the Bill of Materials (BOM) has cross references to standard catalogue part numbers (Farnell, RS, Digikey or Mouser) and that Gerber data is provided for the production of the bare PCB and SM stencil. 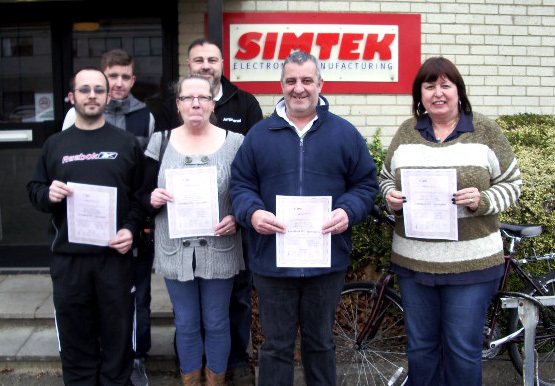 Simtek are an independent, privately owned company offering electronic manufacturing services across the range from prototype to full batch production. Employing operators fully trained to IPC-610 acceptability and IPC-7711 rework standards, they deliver real solutions in a reliable & extremely cost effective manner. Currently manufacturing products to ISO9001:2008 for the Medical, Automotive, Marine, Defence, Security, Audio & Leisure industries, they are looking for new business partnerships going forwards into 2014.